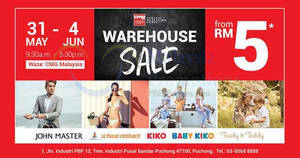 Enjoy 13% OFF at Zalora with the below coupon code. Zalora offers delivery anywhere in Malaysia on all orders! Delivery is FREE for all orders of RM75 and above, Valid for sale items too! Get 13% OFF at FlowerAdvisor valid for a limited time only with the below coupon code. 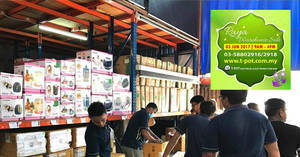 FlowerAdvisor offers same & next day delivery service in Malaysia. T-Pot will be having a Warehouse sale on 3 Jun 2017, Branded Home Appliances on sale. Products offered include refrigerator, freezer, washing machine, tv, air conditioner, fan, tablet, laptop and many more! It’s SHOPPING time to get ready for your Ramadan! 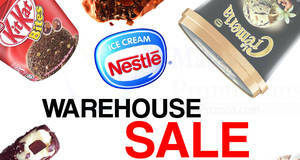 Check out the Nestle Warehouse Sale happening from 26 – 27 2017, 12pm to 5pm at Agro Aquatic Products Supplier Sdn Bhd. 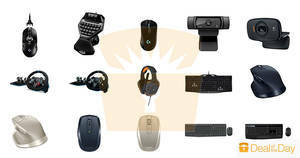 Save up to 50% off on selected Logitech PC accessories! 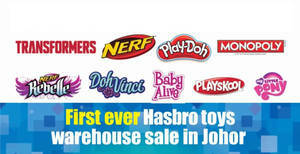 The most awaited Warehouse Clearance is here! Exclusive daily specials & deals are available for you. Get the ultimate collection of amusement park business ups and downs at 65% OFF for a limited time. Where’s entertainment for the masses, there’s massive income for a skilled entrepreneur.